You are currently browsing the archives for the tag 'savage beauty'. 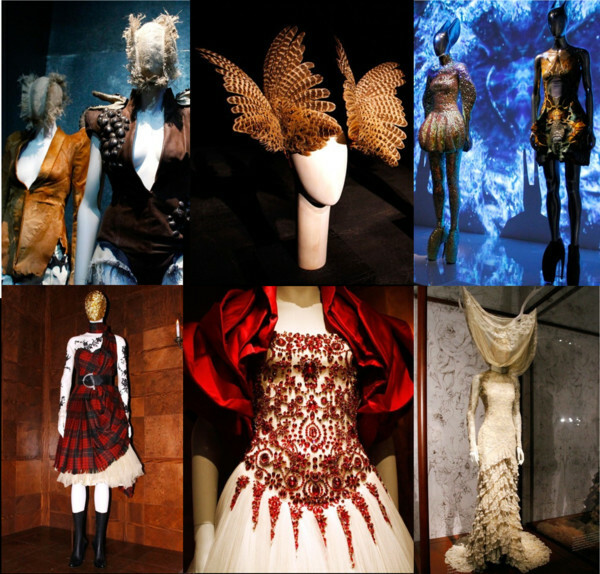 The amazing Alexander McQueen : Savage Beauty exhibition is coming to London – and great news is that you can buy a ticket from 10am tomorrow morning (Advance booking is advised – this can be done in person at the V&A; online; or by calling 020 7420 9736 (booking fee applies)). After endless rumours that it would, the V&A announced that it will host the exhibition from March 14 to July 19, 2015 in partnership with Swarovski and supported by American Express. 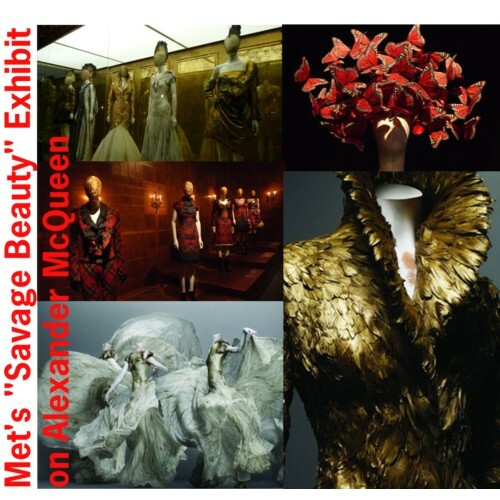 The original version of Savage Beauty at the Metropolitan Museum of Art, New York in 2011 was organised by the Costume Institute and became one of the Museum’s top 10 most visited exhibitions. Now, this outstanding large retrospective of the late designer’s work is to be presented in Europe for the first time, showcasing McQueen’s visionary body of work. Spanning his 1992 MA graduate collection to his unfinished A/W 2010 collection, McQueen’s designs will be presented with the dramatic staging and sense of spectacle synonymous with his runway shows. For me, a must-see again! 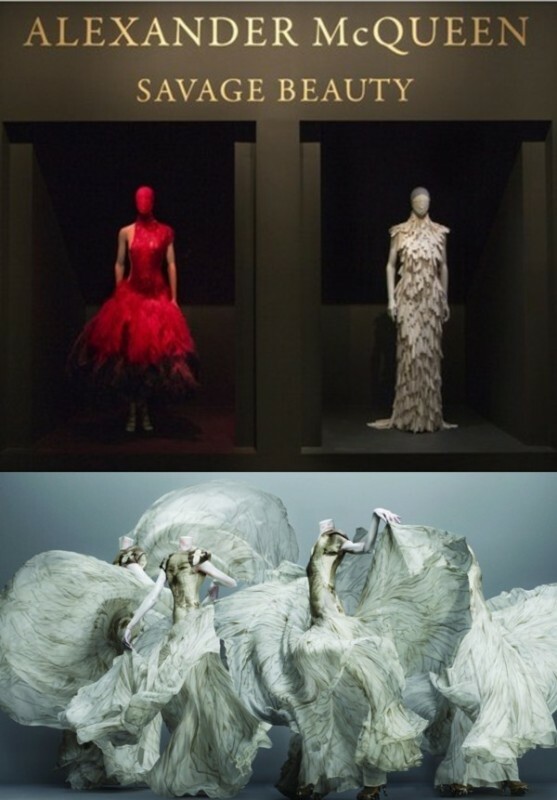 Starting from today, Alexander McQueen: Savage Beauty, is on view until July 31, 2011 at the Metropolitan Museum’s second-floor Cantor Galleries. So if you just can’t get enough after having seen Kate Middleton’s bridal dress, that was made by Sarah Burton for the house of McQueen, you might consider a trip to NYC. The designer’s costume institute retrospective features approximately 100 ensembles and 70 accessories from the late designer’s prolific 19-year carreer with some outstanding pieces from the Givenchy Archive in Paris, custom-made items from the closet of Isabella Blow and even his graduate collection at Central St.Martins among others. To celebrate the opening of the exhibition, the Museum’s Costume Institute Benefit took place Monday night with high-profile guests in high-profile fashion. The Met gala has anyway become over the years the fashion community’s biggest red carpet night. It was no wonder to spot some McQueen tributes to the mix. … and Anna Dello Russo, known for her eclectic style, showed up in a pant suit from the S/S 2011 collection, divine! As for me, the ultimate highlights were the „Stella Girls“ with Stella McCartney herself making an appearance in a black and white tuxedo gown of her own design. It was a modern, probably experimental but uncoventional look. The British designer is also a Co-Chair for the fundraising event. The Stella McCartney parade was led by Madonna in a silky blue gown with a beautiful embroidered train. With her 50’s hair and make-up, she looked very Hollywood. Wow! Very pregnant Kate Hudson glowed in her champagne-coloured Stella gown and long tousled hair. This is my favourite. Gwyneth Paltrow chose to go with long sleeves which was a popular trend at the gala. So simple and absolutely stunning. The actress is good friends with the British designer. Rihanna in a one-shoulder black lace gown, an iconic Stella look! Adding some colour drama, Eva Mendes enhanced her complexion by wearing a cobalt blue plissé dress by Stella McCartney. So beautiful!